Come Join Us for this one day event! Learn how to keep yourself safe and alive during a harsh seasonal emergency. Enjoy our storewide sale all day and enter our raffles and giveaways. 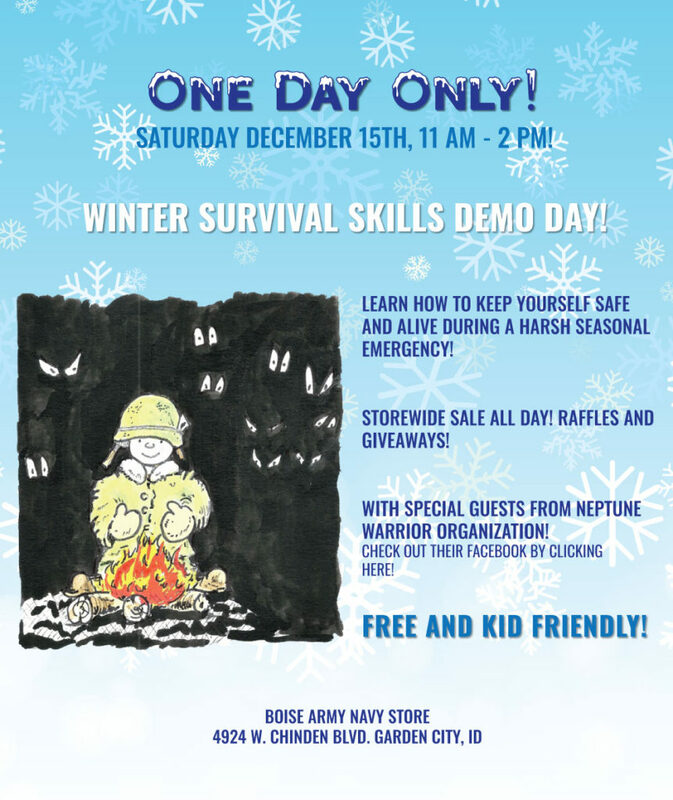 This event features special guests and is free and kid friendly! View the flyer for more details.